The United Nations this month (July 2014) published its annual survey on how the world’s 193 national governments are meeting and delivering against customer needs online. Wading through all the tables and indices, one thing stood out; the game for government business portals has changed and for the better. "A typical feature of European e-government strategies is to provide distinct portals on government information and on online services for citizens. Increasingly, countries in the region are also providing portals on open government data and e-participation as well as for businesses. This increases the number of ‘core’ e-government websites per country to a handful, moving beyond the idea of single ‘one-stop-shop’ portals. This approach helps to provide more targeted, while connected and user-friendly portals to different users, with the amount of information and services made available by governments increasing continuously." "In 2014, the definition of “One-Stop-Shop” has been revised and made more restrictive and narrow. Hence the number of countries that still classified as offering such portals was reduced to 71 countries, or 37 per cent of Member States. However, even with a more restricting definition, the global trend has been a shift away from “One-Stop-Shop” portals into various specialized portals." This is an important development for government departments or ministries under internal policy or political pressure to consolidate into a literal single view of government services. It recognises customer needs vary, especially when comparing business to citizens. But it also reflects that other core offerings are possible and should be tailored and delivered accordingly. Ultimately the way government structures and delivers its online service delivery vehicles should be based around customer research and needs. Executives within government are smart enough people to know that basic information about how to renew a driver’s license or finding out the next school holidays are relatively simple concepts and tasks. Now compare that to the intricacies of starting a business and ensuring you comply with the right government licenses, regulations, employment and taxation conditions. When governments move towards or expand the existing business portal its essential that customers’ needs are met. It’s important to take the time to understand from the business customers’ perspective on how to best deliver this. It’s great to see the UN report recognising some excellent steps being taken with 60 countries providing online business registration. In this space the survey makes special mention of Sweden’s joined up approach of consolidating the business services of three agencies into a single sign-on offering and Montenegro’s great first steps into its business licensing portal. Three other related themes stand out clearly in this year’s survey for government departments and ministries when it comes to delivering services online to business. The first is the push from the global leaders in Europe (United Kingdom, Denmark, the Netherlands) for “digital by default” service delivery. This approach of putting the online channel at the forefront of service delivery has strong financial drivers for government. By actively encouraging customers to transact with government online instead of phone or counter, the cost of servicing is greatly reduced allowing for money to be reinvested elsewhere in government. Digital by default only works effectively where a strong uptake of the online channel has already occurred and continuing to grow. This understandably only occurs where internet infrastructure and online participation is beginning to mature. Intersecting with this is how the typical profile of business customers varies compared to citizens. Understandably government has strong social justice obligations to provide services to citizens regardless of the digital divide. However in many countries businesses are one of the most active users of the internet. This empowers departments and ministries with a business customer audience to increasingly move to digital by default. The second theme is the rapid uptake and use of mobile phones as the means of accessing the internet to transact and engage with government services. Again business customers are more likely to be active users of mobile phones, and particularly smart phones in running and managing their business. This provides an ideal opportunity for government when redesigning its business portals and services to build with mobile firmly on their minds. The final related theme in the UN survey is the importance of integrated channel management and optimisation strategies. A key component of this is recognising that until digital by default becomes the sole means of service delivery, an integrated approach to multichannel service delivery is required. This should allow for customers to ideally move between channels. Within a transaction based service this would mean a business customer submitting a form online may get half way through, before picking up the phone to clarify a point and for the customer service operator to bring up that transaction. This is still a significant challenge even for the most advanced governments but represents the ideal channel mix and experience for business customers. 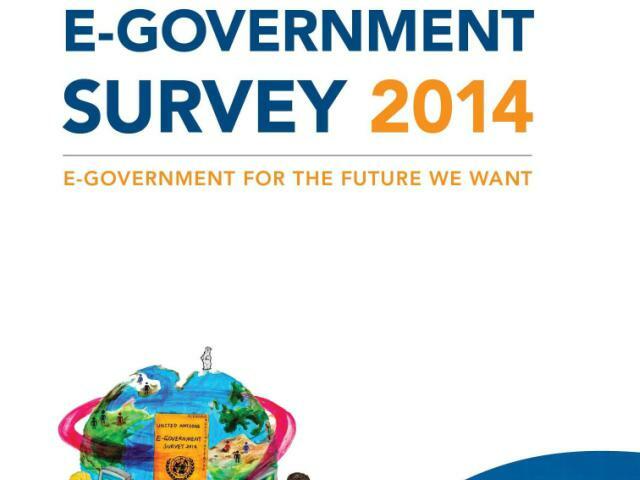 The learnings from the UN e-Government survey provide a real “how to” roadmap for governments in managing and improving service delivery online for business customers. We’re clearly entering an environment where governments can deliver integrated services online and multichannel to better meet the needs of their business customers. And the benefits to high level audience segmentation not only delivers better customer service but also improved internal efficiencies. Looks like we’re entering an exciting period for government to business portals. Don’t worry, we’ll only send you the best stuff – no spam.